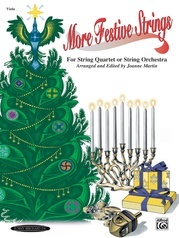 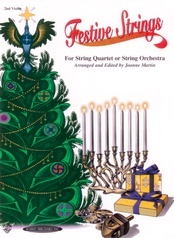 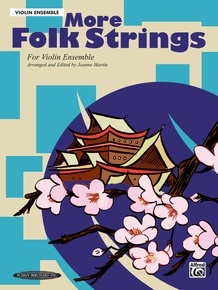 More Folk Strings is a collection of melodies from around the world, in a variety of moods and with rhythmic patterns and harmonies that are representative of their country of origin. 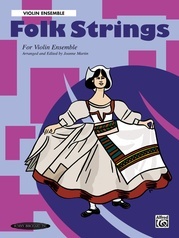 Because of the flexible scoring used in More Folk Strings, players at a variety of levels can make music together and less experienced players can play the solo (melody) parts, which use little or no shifting and are in accessible keys. 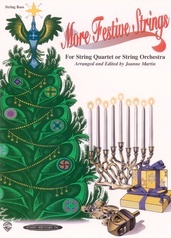 Some pieces in the collection are easier than others. 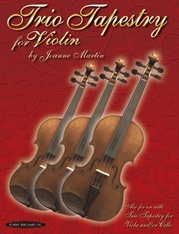 The collection is available in a number of instrumentations for string quartet or string orchestra, for violin ensemble, viola ensemble, cello ensemble, for two, three, or four violin, viola or cello players in any combination of these instruments, and for solo violin, solo viola, and solo cello. 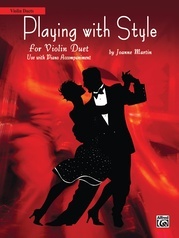 The piano accompaniment may be used with any of the combinations. 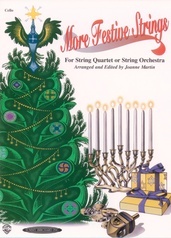 In More Folk Strings for String Quartet or String Orchestra, the melody is passed around so that all members of the ensemble can have the opportunity to play the tune. Score and parts are marked with "melody" and "harmony" to help players bring out the melody at the appropriate moment. Teachers' notes provide lyrics and background information on each folk song in addition to rehearsal and performance suggestions.